The Olympics are on now and Mcdonalds has a freebie for it! Get a Free Limited Edition Rio 2016 Olympics Coca-Cola Pin. There are 4 to collect. 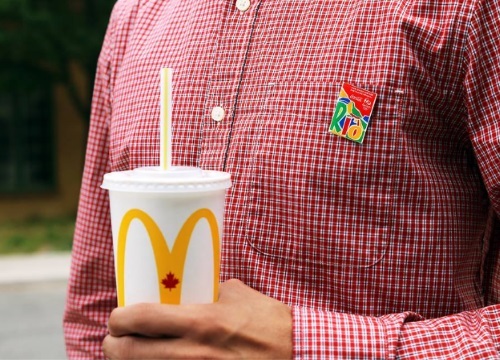 Get a Free Pin when you purchase an Extra Value Meal. Offer valid exclusively at Mcdonalds in Walmart. August 2-29, 2016. See in-store for more details.